Microsoft has officially announced the Release Date of Windows 8 operating system and Windows 8 Upgrade Plan for general public and users worldwide and currently Windows 8 is currently officially available only for MSDN Subscribers and TechNet Subscribers for downloading and installing of Windows 8 and for Students having DreamSpark Premium accounts will get access of Windows 8 on August 25th, 2012. The official Release Date of Windows 8 is October 26th, 2012 for Desktop PC's, Laptops, Tablets and Smartphones and no one can get it before it, but it seems that some Online Geeks are claiming the Leakage of official Windows 8 DVD ISO Image File on Internet and we don’t know exactly if it’s a Genuine Windows 8 or not but we have got some good news for Non MSDN and Non TechNet subscribers and for general public that Microsoft is offering Free Windows 8 Enterprise Edition with a free MAK (Multiple Activation Key) Genuine License Keys of Windows 8 that can activate the Windows for 90 Days validity. Free Windows 8 Enterprise Edition DVD ISO Image File is currently available for all Microsoft and Windows users and general public worldwide before the final release of others Windows 8 SKU's Editions including Windows 8, Windows 8 Professional and Windows 8 RT. Free Windows 8 Enterprise Edition is good for those users who are willing to switch from their current version of Windows and are seriously planning to upgrade to Windows 8 or wants to purchase Windows 8 before its final release on October 26th, 2012. But users have to remember the negative consequences of Free Windows 8 Enterprise Edition that Windows will be activated only for 90 Days validity after installing and it will be pre-activated with a free MAK (Multiple Activation Key) Genuine License Keys of Windows 8 or Genuine Activation Keys of Windows 8, once the 90-days evaluation period is over, user cannot upgrade it to the final version, your desktop will go black, and your PC will shut down on an hourly basis so you must know this before installing Windows 8 Enterprise Edition. Further details about Free Windows 8 Enterprise Edition DVD ISO Image File can be read-out here. Users can find the relevant system requirements and hardware config details of Windows 8 RTM Enterprise Edition from below. Users can Download Free Windows 8 RTM Enterprise Edition DVD ISO Image File from the Direct Download Links available below with supported architectures of 32-bit (x86) and 64-bit (x64) directly from official Microsoft Servers. For Genuine Activation Keys of Windows 8 RTM Enterprise Edition or to get Genuine License Keys of Windows 8 RTM Enterprise Edition users have to register themselves with the online registration form available here. 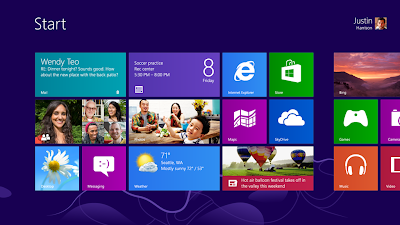 As mentioned, you must register from above online link to get the download links with Genuine Product Key of Windows 8. However, if you intend to bypass the registration, you can download the DVD ISO Image file from below link directly.